The purpose of this research is to analyze retinal venous pressure (RVP) of both eyes of patients who visited a Swiss ophthalmic practice and compare values among the following groups of patients with primary open-angle glaucoma (POAG), Flammer syndrome (FS), and metabolic syndrome (MetS). RVP was measured in both eyes of all patients who visited a Swiss ophthalmic practice during March 2016 till November 2016, and the results were analyzed retrospectively. All measurements were performed by one physician by means of ophthalmodynamometry. Ophthalmodynamometry is done by applying an increasing pressure on the eye via a contact lens. The minimum force required to induce a venous pulsation is called ophthalmodynamometric force (ODF). The RVP is defined and calculated as the sum of ODF and intraocular pressure (IOP) [RVP = ODF + IOP]. Spontaneous central retinal venous pulsation was present in the majority of the patients (192 out of 357, 53.8%). Spontaneous RVP rate was significantly negatively correlated with age (r = −0.348, p < 0.001). A significantly increased RVP was noted in FS, MetS, and POAG patients, particularly those POAG patients who also suffered from FS (p < 0.005). Although most patients had a spontaneous RVP, those with FS, POAG, and MetS had increased RVP. Measuring RVP by means of ophthalmodynamometry provides predictive information about certain ocular diseases and aids in instituting adequate preventive measures. Measurements of retinal venous pressure by means of ophthalmodynamometry have previously been reported for a variety of ocular diseases related to microcirculatory disturbances [1, 2, 3, 4, 5, 6, 7]. The normal functioning of tissues depends on the maintenance of an adequate perfusion, with sufficient blood flow . For the eye, a key element of ocular perfusion is the presence of an ample ocular perfusion pressure (OPP) to meet tissue needs . The relation between OPP and blood flow in the eye, however, is complex due to the phenomenon of autoregulation . Autoregulatory processes attempt to keep blood flow constant despite changes in OPP. A regulation of circulation that is not properly adapted to local needs is defined as vascular dysregulation [10, 11, 12, 13], which when associated with a cluster of additional vascular and non-vascular signs and symptoms is referred to as the Flammer syndrome [2, 3, 14]. But how is perfusion pressure defined for the eye? Traditionally, OPP is calculated as the difference between systemic blood pressure (measured in the upper arm) and intraocular pressure (IOP) , with the assumption that retinal venous pressure (RVP) is equal to IOP and that a spontaneous venous pulsation,  SVP is physiological. 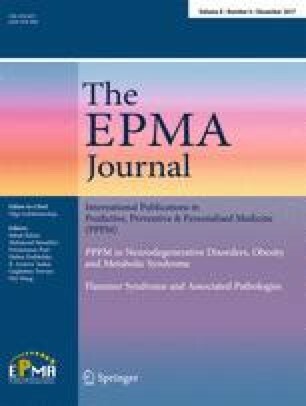 Previous studies suggest that RVP is increased in the eyes of patients with primary open-angle glaucoma (POAG) particularly when associated with the Flammer syndrome (FS) [1, 2, 4, 7], in the affected and non-affected eyes of patients with retinal vein occlusions , as well as in the eyes of patients with thyroid associated orbitopathy . Newer studies also suggest that the increased retinal venous pressure may be decreased therapeutically at least in a subset of patients . Taking all of the above information into account, the measurement of retinal venous pressure by means of ophthalmodynamometry has been incorporated in various ophthalmic centers and practices as part of the routine comprehensive eye examination. For other centers lacking this diagnostic tool, the results of routine measurements done may be of interest. This is a report of the RVP measurements done as part of the routine clinical examination in all patients who attended a Swiss ophthalmic clinic for a variety of reasons in a span of 9 months. We analyzed RVP measurements in 724 eyes of 362 patients who attended an ophthalmic clinic (Glatt Eye Center) between March 2016 and December 2016. All RVP measurements were performed by one investigator (MM). No ethical approval was required to measure RVP by means of non-invasive ophthalmodynamometry (Imedos, Jena, Germany) as RVP measurements are always taken in all patients (e.g., measurements of IOP), and patients are treated adequately when necessary. The patients attended the ophthalmic setting for a variety of reasons including prescription of glasses, dry eye syndrome, infections, regular ophthalmic examinations, or for follow-up due to metabolic risk factors. A patient was defined to have the metabolic syndrome (MetS) when obesity plus at least two of the four cardiovascular risk factors (hypertriglyceridemia, low blood high-density lipoprotein (HDL), arterial hypertension, and diabetes mellitus) were present . Obesity was defined as a BMI (body mass index) of 30 and above. BMI was defined as a person’s weight in kilograms (kg) divided by their height in meters (m) squared. FS was defined as being present if it was detected in the patient history. FS was defined as present (FS+) in the patient history if the subjects answered five or more of the following six questions with “Yes,” and as absent (FS−) if the subjects answered less than five questions with “Yes”: (1) Do you suffer from cold hands or feet even in summer ? ; (2) Do you have trouble falling asleep, especially when you are cold ? ; (3) Are you seldom thirsty, and do you have to remind yourself to drink enough ? ; (4) Do you suffer from migraine attacks ? ; (5) Do you have low blood pressure ? ; (6) Do you identify smells better than others ? POAG was defined as history of high intraocular pressure (>21 mmHg) which was under treatment with antiglaucoma medications (with the exception of carbonic anhydrase inhibitors) and glaucomatous optic nerve damage plus open angle on gonioscopy, without any secondary causes of elevated IOP. POAG patients with Flammer syndrome were noted as POAG/FS+, and those lacking the Flammer syndrome were noted for simply as POAG. Healthy people were defined as those lacking any systemic or ocular disease who just came for a routine checkup of their eyes. For all patients, RVP was measured in both eyes by means of ophthalmodynamometry (Imedos, Jena, Germay). The ophthalmodynamometer consists of a conventional Goldmann contact lens fitted with a pressure sensor at its outer margin where the Goldmann contact lens is usually held during an ophthalmoscopic examination. The device is connected to an LCD screen. Ophthalmodynamometry is conducted by applying increasing pressure to the eye via the contact lens. This applied pressure can be read as an IOP increase on the attached LCD screen based on a calibration curve. The IOP increase that is required to induce a venous pulsation is called the ophthalmodynamometric force (ODF). If a spontaneous venous pulsation is present (ODF = 0), it was noted. If not, the compressive force was increased until the first venous pulsation was detected, and the measured value was fixed and read. The RVP is defined and calculated as the sum of the ODF and IOP [RVP = ODF + IOP]. Measurements by the ophthalmodynamometer are reproducible. Statistical analysis was performed using SPSS 22 software (SPSS Inc., Chicago, Illinois, USA). Mean of the intraocular pressure, retinal venous pressure, and ophthalmodynamometric force of the right and left eyes were named as IOPm, RVPm, and ODFm, respectively, and these values were analyzed. Because most of the variables did not have a normal distribution (using Shapiro-Wilks test) either in the whole population or in the subgroups (such as FS, MetS, POAG), nonparametric tests were used for analysis; Kruskal-Wallis was done for assessment of the difference between the five subgroups [(1.) FS, (2.) MetS, (3.) POAG, (4.) POAG/FS+, and (5.) others] in the numerical (age, IOPm, RVPm, and ODFm) and categorical (gender) variables. Whenever a significant difference was detected, pairwise comparison was done taking in account the significance level had to be lowered to 0.005 (instead of 0.05) (Bonferroni adjustment). In all other tests, p value of less than 0.05 was considered significant. Spearman correlation was done between the variables. Three hundred sixty-two patients were studied. Five of these people had MetS and FS with (n = 2) or without (n = 3) POAG. Because of the small number of these patients, they were excluded from the analysis. The composition of the remaining 357 patients and their demographic and numerical data is shown in Table 1. After running Kruskal-Wallis and post hoc Mann Withney U tests, RVPm was significantly higher in FS, MetS, POAG, and POAG/FS+ eyes than normal people (p < 0005). This was also true for ODF (p < 0.005), but not for IOP (numerical data are shown in Table 1). Interestingly, mean RVP values (RVPm) were significantly higher in POAG/FS+ eyes than just POAG (p = 0.005) or healthy FS (p < 0.001) implying the possible synergistic effect of these two conditions to each other (Table 1). Spontaneous central retinal venous pulsation was present in the majority of the patients (192 out of 357, 53.8%); this phenomenon was significantly more prevalent in those without any of the three underlying conditions (FS, MetS, POAG) (Table 2). Spontaneous RVP rate was not correlated with gender (p = 0.195), but it was significantly negatively correlated with age (r = −0.348, p < 0.001); the relationship was weak though (small r number). Assuming ODFm of more than 3 mmHg as clinically significant, a significantly increased RVP was noted in FS, MetS, and POAG with or without FS patients than those without these conditions (Fig. 1, p < 0.005). The majority of patients who visited our clinic had a spontaneous venous pulsation. This finding is in line with reports from other authors reporting spontaneous venous pulsations to be present in approximately 76–98% of the population [16, 24, 25, 26, 27]. The reason why the retinal vein spontaneously pulsates remains controversial. A recent analysis attributed it to be due to the difference between IOP and cerebrospinal fluid (CSF) pulsations . Of interest were findings of increased RVP in the two extremes of the population spectrum, namely people with MetS as well as those healthy people with the Flammer syndrome (commonly slim, cold hands and feet, and arterial hypotension) [2, 28]. A number of mechanisms leading to increased retinal venous pressure have previously been discussed . These include an IOP increase , increased CSF pressure [31, 32], and compression of the retinal vein by a distorted artery . At the moment, the cause of the increased RVP in the subsets of patients can only be hypothesized. It is unlikely for the cause to be mechanical of nature, since most patients had a significant increase in RVP in both eyes. One possible theory for the underlying cause of the increased RVP is the production of vasoactive molecules such as endothelin-1 (ET-1) produced either locally by the endothelial cells or by the surrounding tissue or produced by diffusion throughout the circulating blood to smooth muscle cells or pericytes . In people with atherosclerotic risk factors and well in those with the Flammer syndrome, the arteries produce an increased amount of ET-1 increasing both the concentration of ET-1 in the circulating blood as well in the surrounding tissue of the artery [34, 35, 36]. Hypoxic tissues may also increase ET-1 levels in the circulating blood and thus induce a secondary vascular dysregulation . ET-1 being a potent vasoconstrictor could cause nearby veins to constrict thereby increasing the retinal venous pressure. The results of this study are in line with previous studies reporting increased values of RVP in glaucoma patients with and without FS [1, 2, 4, 38], but what the study additionally shows is increased values of RVP in people with MetS. Initial studies show that increased RVP can be reduced by calcium channel blockers at least in a subset of patients . Future studies are required to evaluate whether the increased RVP can be reduced by drugs and whether or not the reduction of RVP improves the prognosis of various ocular diseases and thus be of preventive value . In short, measurement of RVP by means of ophthalmodynamometry is a useful diagnostic tool which can easily be incorporated in daily ophthalmic practice. The method is simple, non-invasive, and reliable, and gives indirect information about ocular perfusion pressure thus providing predictive information about certain ocular and allowing adequate preventive measures. BMI, body mass index; FS, healthy people with Flammer syndrome; HDL, high-density lipoprotein; IOP, intraocular pressure; IOPm, mean of the right and left eye intraocular pressure; MetS, metabolic syndrome; ODF, ophthalmodynamometric force; ODFm, mean of the right and left eye ophthalmodynamometric force; OPP, ocular perfusion pressure; POAG, primary open-angle glaucoma; POAG + FS, primary open-angle glaucoma and Flammer syndrome; PPM, predictive, preventive medicine; RVP, retinal venous pressure; RVPm, mean of the right and left eye retinal venous pressure; SVP, spontaneous retinal venous pulsation. DM: patient collection, acquisition of data. ZV: analysis of the data and writing the article, final approval of the manuscript. JB and MM: helped design and coordinate the study, jointly drafted the manuscript. MM: revising the draft critically for important intellectual contents, final approval of the manuscript. No ethical approval was required to measure RVP by means of non-invasive ophthalmodynamometry (Imedos, Jena, Germany) as RVP measurements are always taken in all patients (e.g., measurements of IOP) and patients are treated adequately when necessary.